Innovatief en multifunctioneel. Het mantona camerastatief Laurum is een absoluut innovatief statief met een maximale hoogte van ca. 167 cm en wordt vooral gekenmerkt door zijn hoge flexibiliteit. 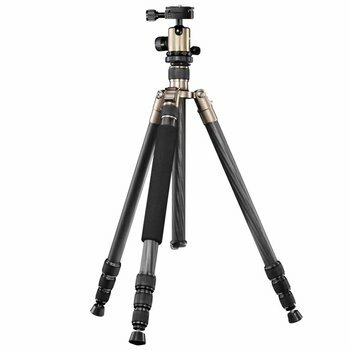 The mantona camera tripod Laurum is an absolutely innovative tripod with a maximum height of approx. 167 cm and is particularly characterized by its high flexibility. 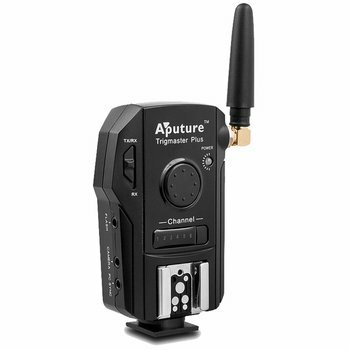 With just a flick of the wrist it can be converted from a tripod to a monopod, a table tripod, a lamp tripod for compact flashes and LEDs or a macro tripod for ground level shots. This provides you with the right tripod for any application - all in one! And this is how it works: For use as a monopod you must simply unscrew one of the tripod legs and mount the centre column of the tripod on the monopod, which can be extended up to 152 cm, incl. ball head. The camera is mounted to the quick-release plate of the supplied ball head by means of a inch thread. The scope of delivery also includes short legs for using the tripod as a table tripod with a maximum height of 60 cm, incl. the head. For this purpose unscrew the legs of the tripod and the centre column and replace these with the table top legs. But it doesn't end here: You can also convert the monopod quickly into a lamp tripod, just like a miracle: For this purpose simply remove the rubber feet from the tripod, turn the tripod around and attach a system flash adapter to the spike on the foot with the inch thread. The tripod is extendable in four leg segments and can be simply locked with a single twist. The leg angles can be separately adjusted in three stages to meet different requirements. The attached ball head comes with a scale for quick horizontal adjustments at a glance. The adapter plate can additionally be protected with an additional locking pin against accidental loosening. Due to the light moving ball, locking is also precise and the marking on the locking screw helps when loosening or tightening the ball. The friction setting s made via a separate tripod screw. A special extra: The quick-release plate is equipped with a clip for optimal fixation of the camera, which prevents slipping of the camera on the tripod plate. Due to its design, the mantona Laurum is very compact for transport. The legs of the tripod are slewable and can be reversibly fixed, so that the transport size is just 47 cm, even with ball head. The bag, which is also part of the delivery, can thus be conveniently taken to any shooting session. The tripod can also be dismantled into its individual parts, so that it can be transported in a backpack in dismantled condition. The tripod can then be reassemble in just no time at all. The tripod is made of light aluminium and impresses with its high stability. The neoprene grips, which enable convenient handling even in cold weather, must be especially emphasized.